Spelling ~ wb 244-245-246 and write email about a scene from a favorite movie (use 5 spelling words); due Wed.; pretest Wed.
Spelling ~ wb. 339-340-341; write 3 sentences using a total of 6 spelling words on any topic you’d like; hw due Wed.; pretest Wed.
No mass on Friday because we attended on Wednesday. Two more snow days have brought havoc into the schedule, but I think we can muddle through. Religion ~ Chapter 7 religion test will be on Friday; review will be on Thursday; Don’t forget to think of a couple of things you have learned about the Holy Spirit. Also, you must recall the 7 gifts of the Holy Spirit. There will be a short answer/essay question about what Jesus promised the Apostles and why he did so. The regular word bank on page one, true/false on page two, and multiple choice pages 2 & 3 will be on the test. Complete the chapter review on the website www.bemydisciples.com as well. FRIDAY is mass day so wear mass uniform. Our Valentine’s Day party will be in the afternoon. Remember to bring a bag or box for collecting Valentine’s cards. Also, if you said you would bring a treat for the party, bring that as well. Spelling ~ complete wb. 136-137-138 and write a journal entry (see wb 136 for directions); due on Wednesday; pretest Wed.
Spelling ~ complete wb 208-209-210; due on Wednesday; write a paragraph (assignment found on wb 208) using 5 spelling words; due on Wednesday; pretest Wed.
We will be making up the “BAGS” for the homeless on Friday. Please send in items including scarves, mittens, gloves, warm socks, etc. Well, we made it back to school after the deep freeze. We are working on getting activities rescheduled, and we will notify you as soon as everything is finalized. Thanks for your patience. Next week, we will resume a “normal” school schedule. Have a good weekend! Remember… tonight is PTO Dine-Out Night @ Burger King! Also, some students have volunteered to bring in an item or two (Heinz products, sports stuff, or other things) to display in our museum. If you haven’t been asked by your child yet, we need readers, ushers, greeters, gift bearers for all three weekend masses at St. Francis Church. Jot a quick note to Miss Bungo saying yes and which mass ya’ll be attending. Grade 4 will be depicting famous Pennsylvanians include athletes, inventors, business men/women, and more. For homework tonight, please do some research on the Pennsylvanian that you will be depicting next Monday/Monday evening. I do not want any student or their family to spend money on their “costume,” and I will gladly help them utilize items from around the school or community to help them get into the role. We are also gathering some Pennsylvania themed items for our display…we will be in touch SOON with suggestions and requests. Thanks! We are looking forward to presenting Pennsylvania next Monday, January 28 from 6:00 – 7:30. I cannot emphasize enough the importance of learning/memorizing the multiplication facts! We will have a quiz on the multiplication times tables on Wednesday. The quiz will be timed because the knowledge of the times tables MUST be quick and accurate. This week’s Week in a Peek” is being sent home in the weekly envelope. Welcome back to a new calendar year. We are starting new lessons in math (multiplication), English (pronouns), Religion (Resurrection/Ascension), Social Studies (Southeast Region), and a new story in Reading next week. A map of the SE states/capitals is being sent home today. Work on learning all 12 states/capitals for a quiz later on in the month. Also, Book-It reports will be due on Monday, January 7th. We have mass on Friday, and students need to wear mass uniforms. Math ~ complete wb 37 (all) for tomorrow, Thursday, January 3rd. Work on learning and/or remembering the basic multiplication facts 0-9. ATTENTION PLEASE!!! ~ We are having a huge problem with remembering things! Believe me, I know that it is just days from vacation and Christmas, but not having books, homework assignment forms, and gym clothes/basketball clothes/library books is UNACCEPTABLE! For the next few days I am requiring all students to show parents their homework assignment form AND GET IT SIGNED OR INITIALED! Also, please remember to send in lunch money for the month of January. Book-It forms for January are going home today. They are due January 6th. Also, Mrs. Simpson sent home a letter about the German class party… did you see it? Mrs. Davidson and Mrs. Spencer sent home a note about our class Christmas party on Friday… did you see this one too? Remember to bring in the conditioner for our Advent Service Project. Also, remember we are collecting for the Haversack family ~ monetary donations only please. Book-It Reports due Friday and Ritz movie letters went home today. Look over letter, pick out candy, and return form. Remember tomorrow, Tuesday, is the final t-shirt for canned goods day. Fourth Grade did an incredible job collecting canned goods! T-shirt for canned good Tuesday! Carnival money and forms may be brought in tomorrow. Grade 4 will be doing the readings at mass on Wednesday since we missed school mass last Friday. Please join us to celebrate Thanksgiving mass at 10:00 Wednesday. We will be having spelling test and English quiz on Monday. I’m not a fan of Monday assessments, but we will review prior to beginning the quiz. Well, our first snow day… in November! Parents * Please sign and return report cards as soon as possible. * Return the Spiral Math folders and Spelling composition notebooks ~ ASAP ~ the kids need to use both this week! * We are planning this week’s mass and doing the readings, introduction, and petitions as well as taking up the gifts ~ join us if you are able. T-shirt Tuesday for canned good & jeans for pop donation for the festival. Spelling ~ homework wb 76-77-78 due; don’t forget to write that paragraph telling about how you check or proofread your work ~ use 5 spelling words; pretest Wed. Dismissal @ 11:00 to go get lunch and ready for the parade and party! Terra Nova testing is complete for Grade 4! Thank you to all the students for their hard work and great effort. If your child was absent and/or missed a portion of the test, I will be scheduling the time for them to make up their tests. On another note, I think it would be nice for one more day of a simple snack to finish out the week. Happy Feast of St. Francis to you all! Terra Nova testing continues on Wednesday. Grade 4, don’t forget to do your French homework and bring it and your binder to school. Book-It reports were handed out today. 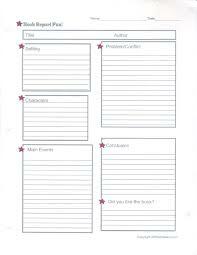 Each student is required to read one chapter book each month and complete a Book Report Fun worksheet. This worksheet has a student summarize the elements of the story (including characters, setting, main events, conflict, and conclusion). Every section must be completed in full and complete sentence form. This worksheet/report is not optional. Each month, the students will receive a coupon from Pizza Hut for an individual pan pizza. I realize not every student likes Pizza Hut, however, I am require them to read and summarize one book monthly. The October Book-It report is due on Friday, Nov. 2nd. Below is the form that students are to complete after finishing their October chapter book. Week in a Peek ~ In-service Sept. This is revised ~ click above to access document. We will have a spelling test on Friday. Only the students who did not get a 100% on the pretest need to take the test. All students will spell the bonus word (reveal). Reading ~ Vocabulary quiz on the 10 words from “My Brother Martin” will be on Friday. We also will have a quiz on details and comprehension of the story. Click on the link below to access this week’s (September 10-14) Week in a Peek, an overview of what’s happening in Fourth Grade. ONE TIME ONLY…Mrs. Clancy has given the students permission to wear shorts and/or skorts on a mass day. Because of the uncomfortable temperatures, she is making this one time exception to the mass uniform. Reading ~ Vocabulary and story comprehension quiz on Friday. Story comprehension questions include questions about setting, plot, and characters as well as questions about narration and flashbacks. Spelling ~ Students who did not get 100% on the pretest will need to take their spelling test tomorrow. Reading ~ reread pages 22-26 of the story “Because of Winn Dixie.” DO NOT finish reading the story ~ we will make some predictions about what we think will happen next and finish reading in class tomorrow. Spelling ~ workbook 4-5-6 are due Wednesday, along with a spelling pretest. We went over these pages last week and had a great deal of time to get it done. Also, remember to do the writing assignment about a sporting record that was broken. Do the writing assignment in your spelling notebook (the one I gave you last week). Don’t forget to look over the new menu and hand it in by Friday! Spelling ~ Homework wb 4-5-6 was explained today. It will be due NEXT Wednesday, Sept. 5. Normally, I will assign spelling on Mondays, and it will be due the following Wednesday. We have a strange schedule for this week. We are doing long and short a. There is also a writing assignment on wb 4. Students should write the assignment in the spelling notebook I gave them today. The pretest on these 20 words and the bonus (champion) will be on September 5th. 2018-2019 Fourth Grade Parents and Students ~ Click below on the Week in a Peek to open the document. I intend to post a weekly post with tests, events, and general information on the Fourth Grade page. Good Tuesday Morning! Summer vacation is rapidly drifting away, and our thoughts are turning to a new school year. I have a quote (from Lucy Montgomery) on my desk that reads, “Tomorrow is a new day with no mistakes in it yet.” If we approach each day, each week, each month and year with that idea, perhaps we can approach it all fresh, bright, and enthusiastically! Tomorrow is the annual Back to School Picnic. I hope to see you there. Packets will be available at that time, or you can pick them up in the school office in the days following. Fourth Grade students will need very little in terms of school supplies to get started. I ask each student to bring/get 5 book covers/jackets to cover their hardback books. Also, a one subject notebook will be needed, along with some pencils. See you all soon. Enjoy the remaining days of summer vacation!